For my design, I wanted to incorporate layering many pieces to create my design, much like my inspiration piece. 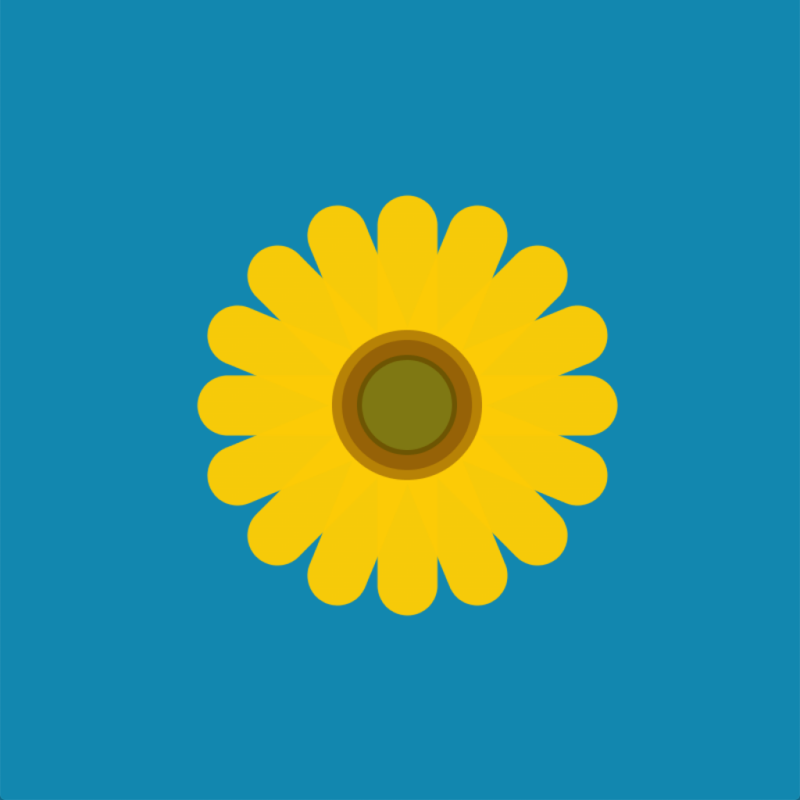 I was inspired by natural forms with repetition, so I decided to create a flower. 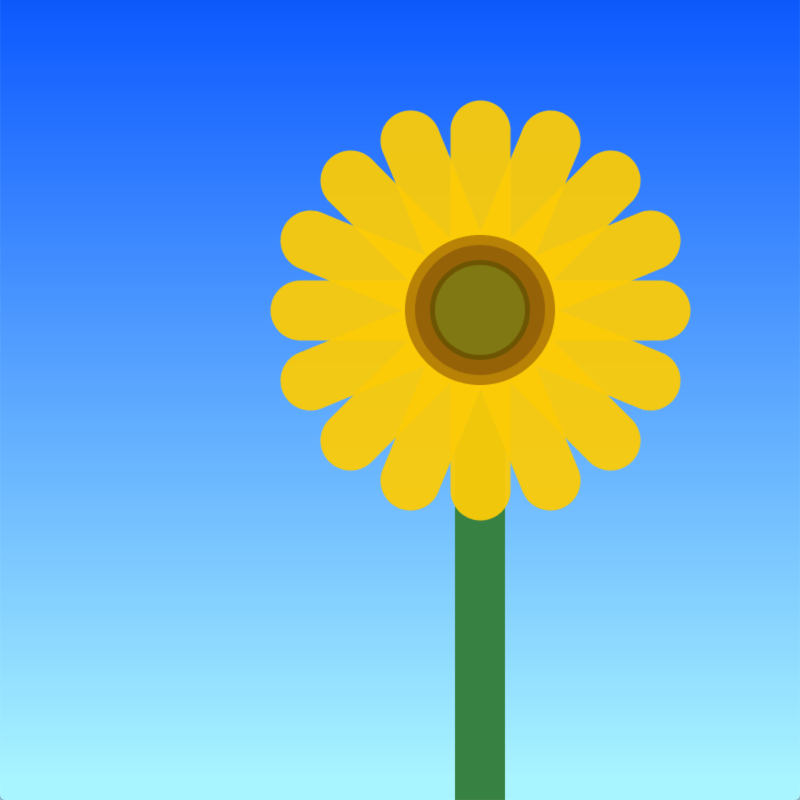 I layered many circles with different fills and sizes in order to make the center of the flower. For the petals, I created lines using slight transparency in order to highlight where the shapes were overlapping. 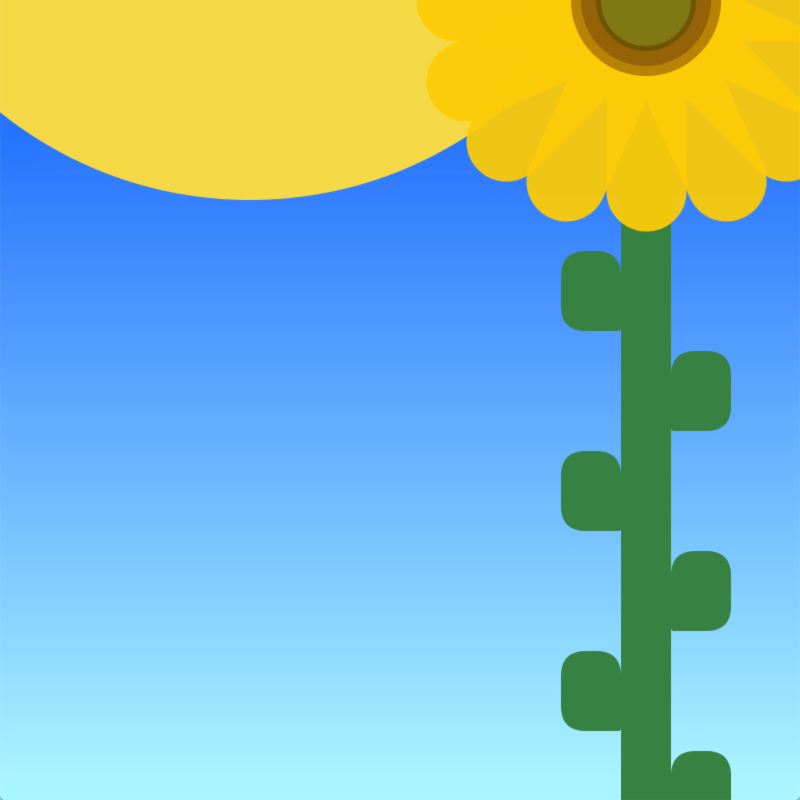 When the mouse is clicked, the sunflower turns into a daisy by changing the petal colors. After this first draft of my code, I decided to incorporate for loops as well as an if else statement. I used for loops to liven up the visual by creating a gradient in the background which makes the sky appear more realistic, altering the colors of the fill. I also used an if else statement to have the flower ‘grow’ in a sense when a key is pressed. 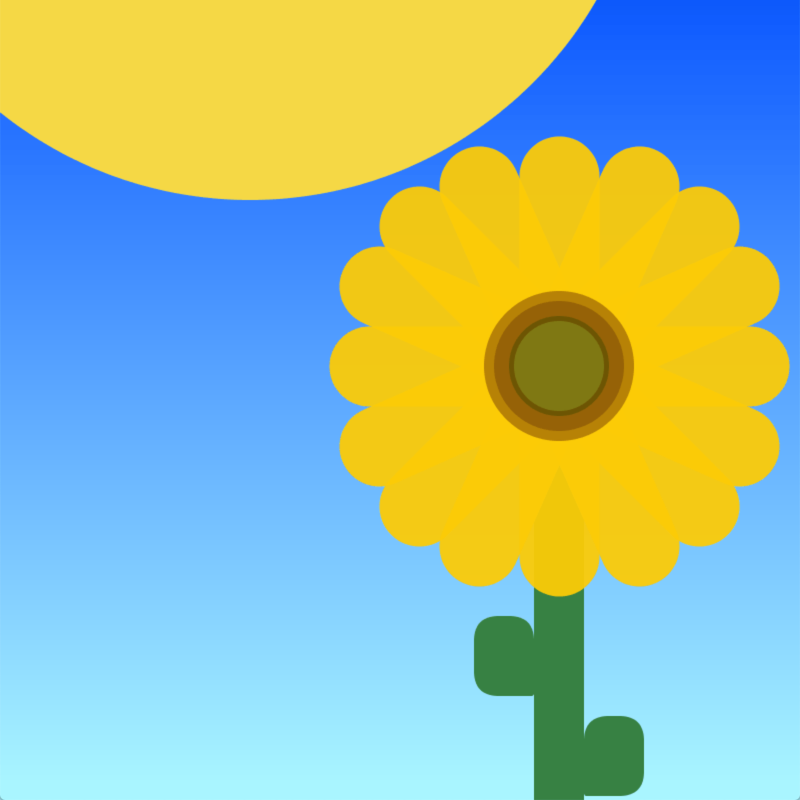 I added a flower stem, and when any key is pressed, a sun appears, the flower petals grow, and the stem of the flower grows leaves. When a key is not pressed, the flower reverts to its less-grown state.